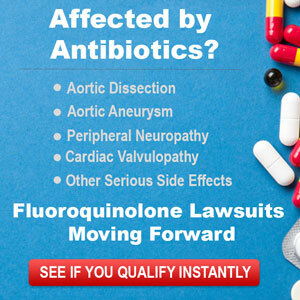 Another teen devastated by a fluoroquinolones. When is this going to stop?? My name is Catherine. I am a sophomore at Christopher Newport University, in Newport News, VA. Until the summer of 2016, I was a healthy, active college girl, and maybe just a little klutzy. I love to be outside, hang with my friends, worship, and have been working hard toward my undergraduate degree, to reach my goal of being, of all things, a Pharmacist. Cipro, an anti-biotic known as a Fluoroquinolone, has derailed me, in many ways. Physically, emotionally, academically, socially…The irony is not lost on me. Although I may appear fine, I am not. Nothing going on inside of my body, and sometimes on the outside, is fine. Rather, it is like an active volcano, with daily eruptions of hot lava surging through me. ← This antibiotic will ruin you. DAMN IT! DAMN IT! DAMN IT! This has got to stop! Millions have been injured and yet it remains the medical community’s best kept secret. I am so sorry this happened to you. I hope when you get well you take the knowledge you have and work with integrative medical practitioners. I avoid all pharmaceuticals like the plague now. I take one for low thyroid, and would quit that if I thought I could. Pharmaceuticals for the most part treat only symptoms not root causes. They are the 4th leading cause of death in this country, where we are over medicated, and one of the least healthy nations, thanks to big pharma and its greed.